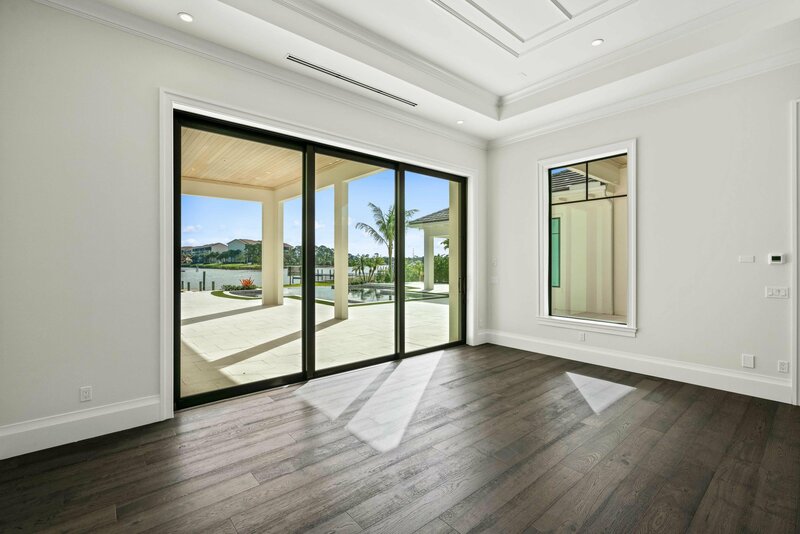 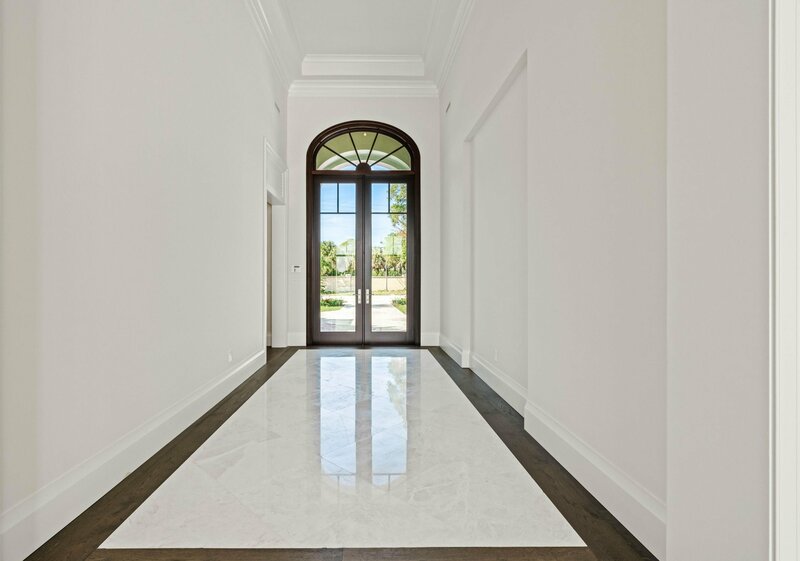 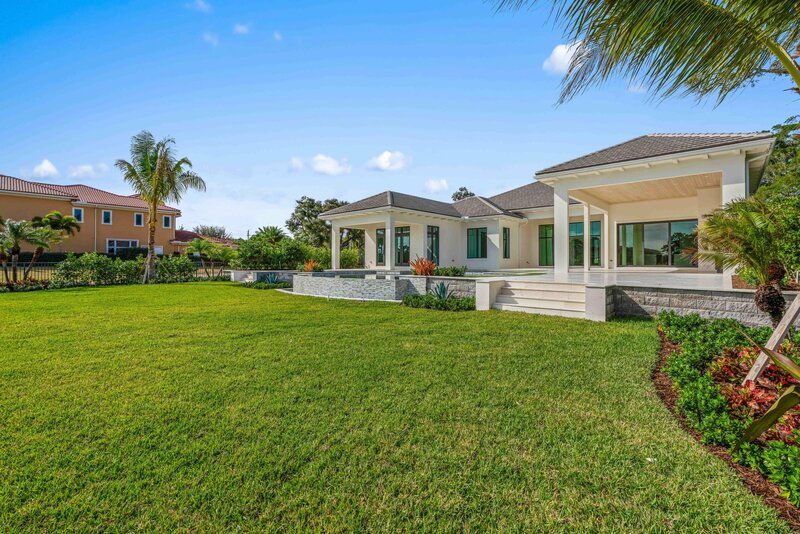 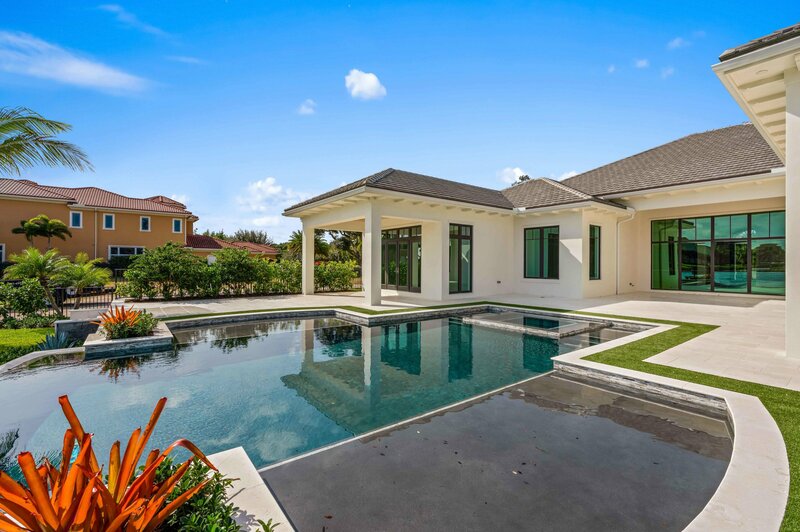 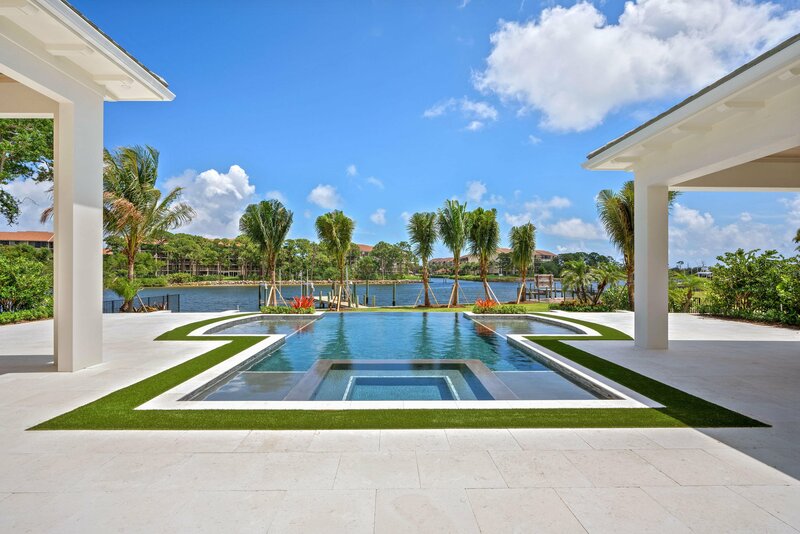 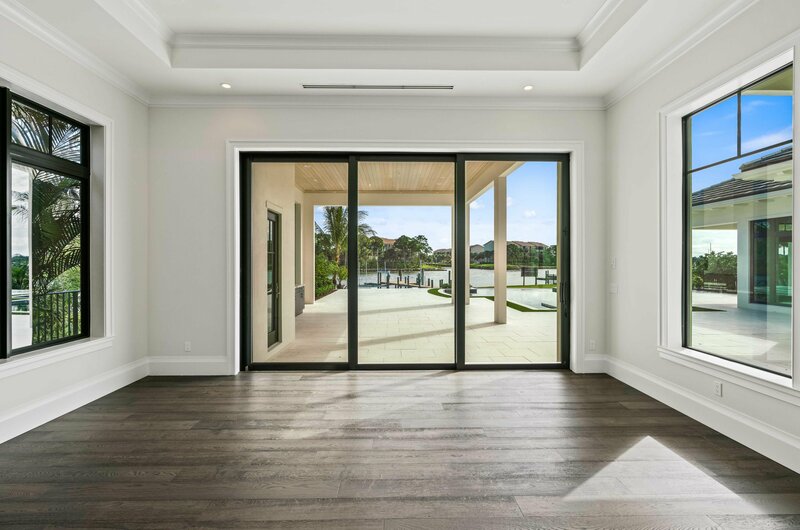 DIRECT INTRACOASTAL beautiful new 5 bedroom plus club room Dutch West Indies home. 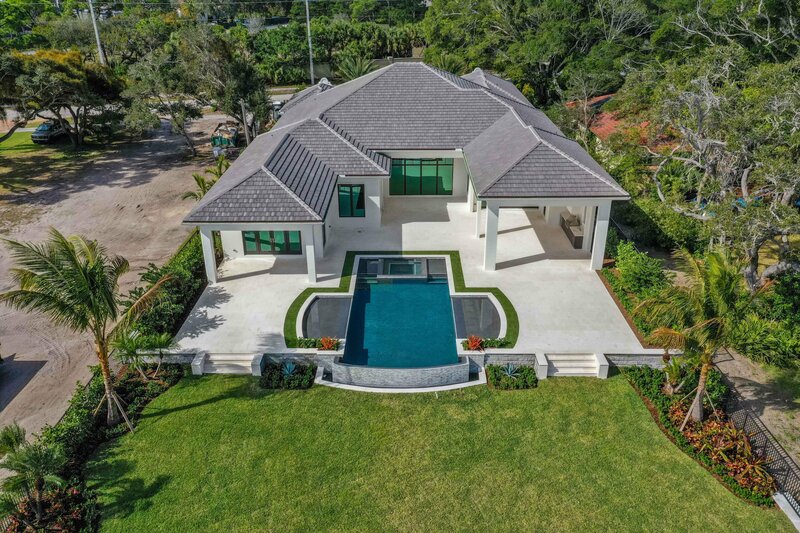 Completed Jan 2019. 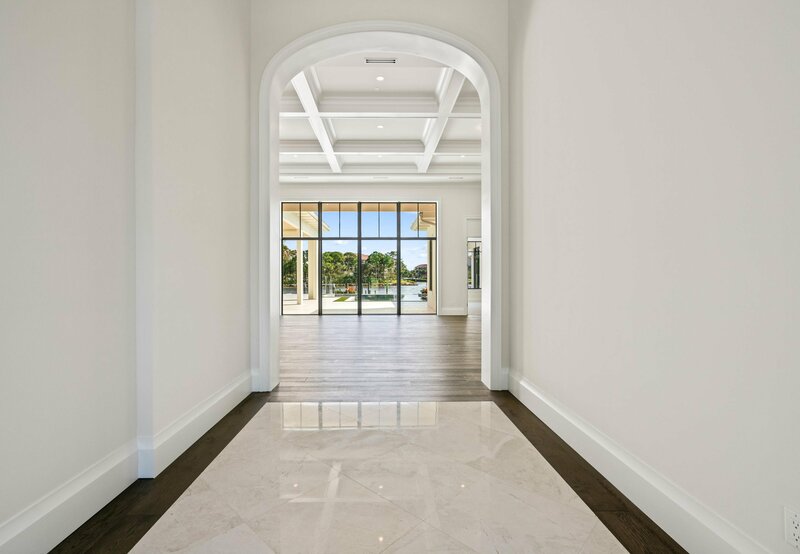 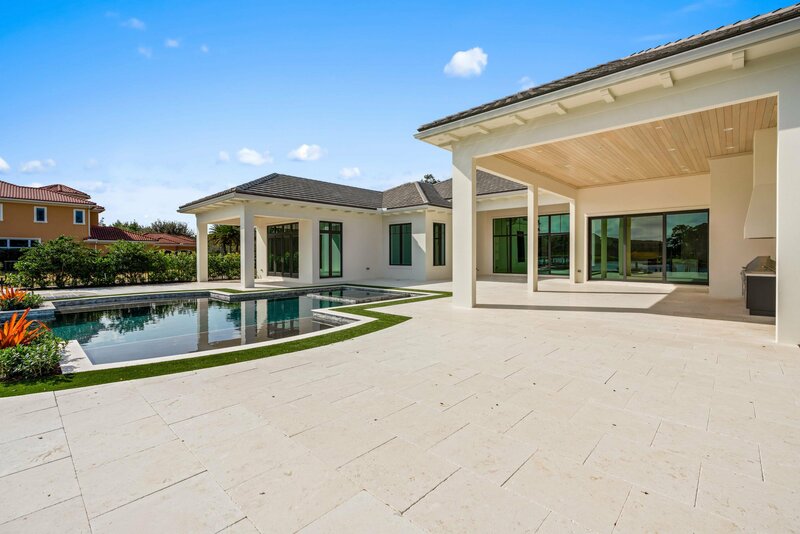 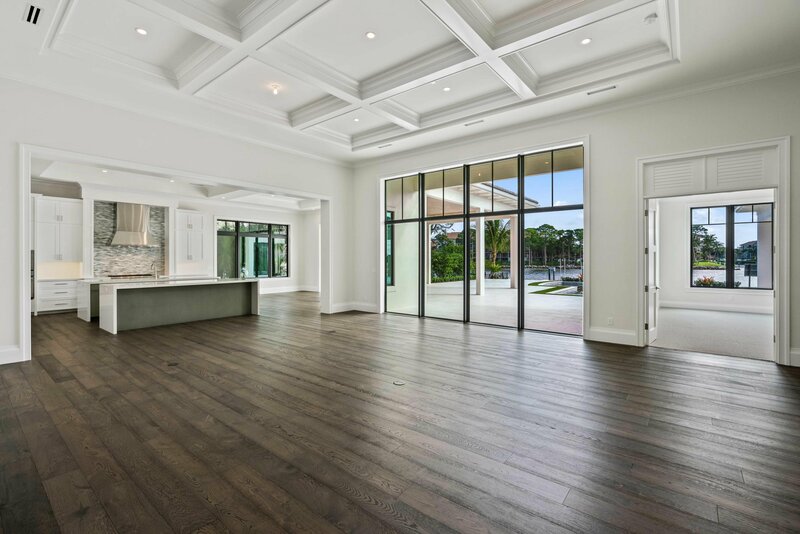 TRANSITIONAL open floor plan perfect for entertaining, 5,293 sq ft under air. 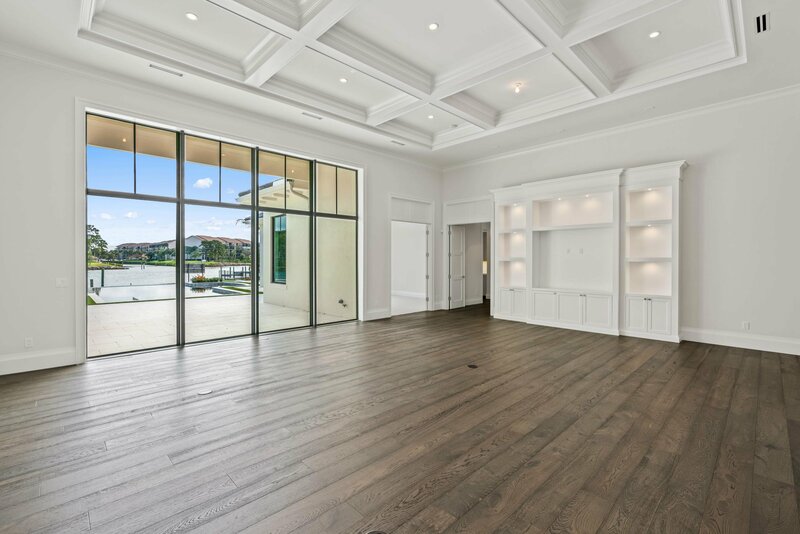 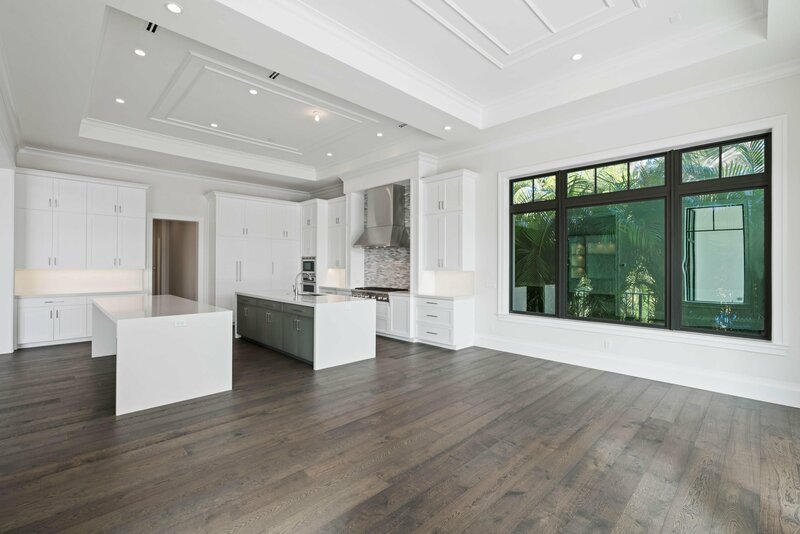 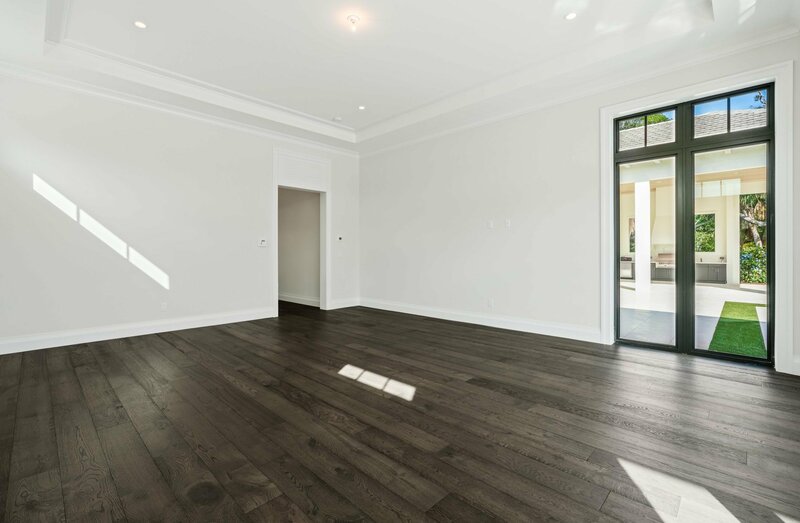 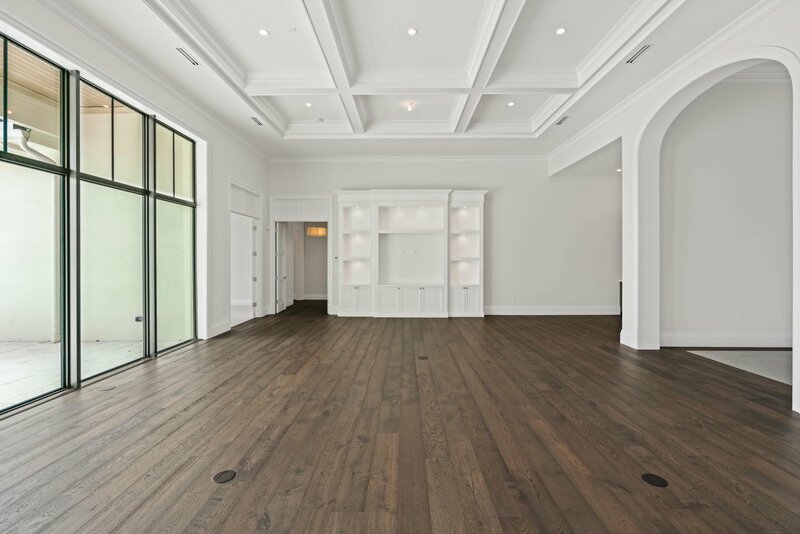 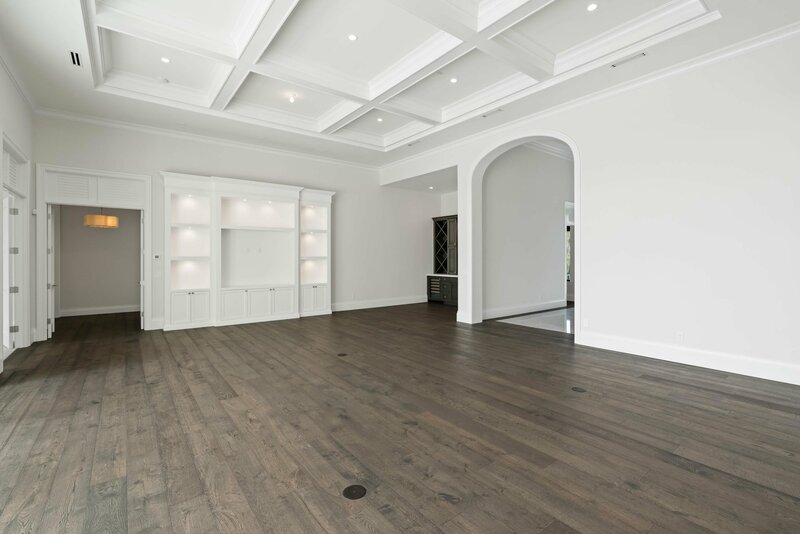 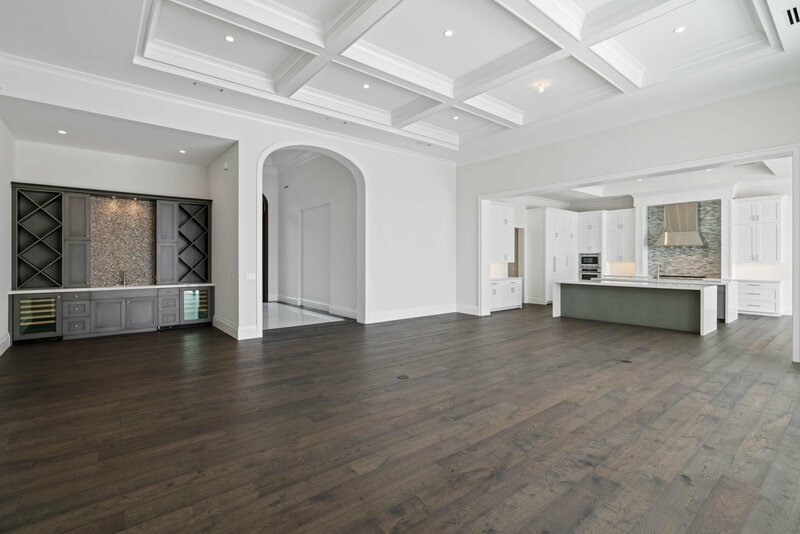 Interior features oak tongue and groove flooring in living areas, ceiling details include, coffer, volume, tray and beam applied moldings, impact windows and doors. 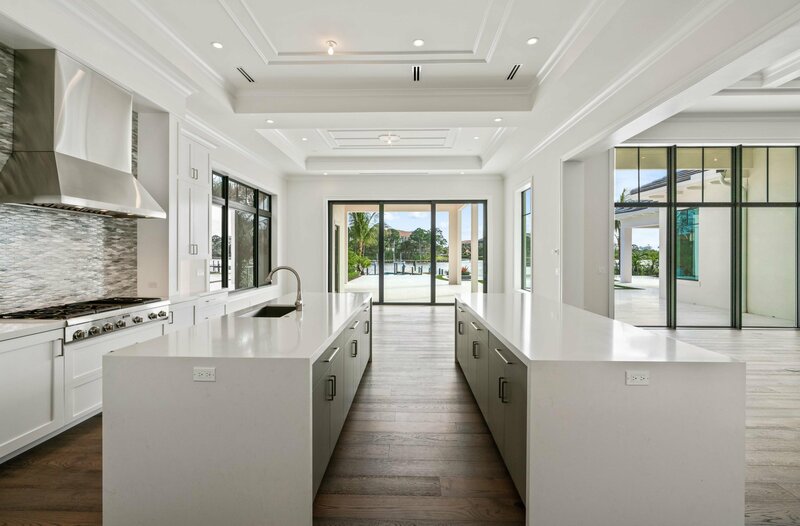 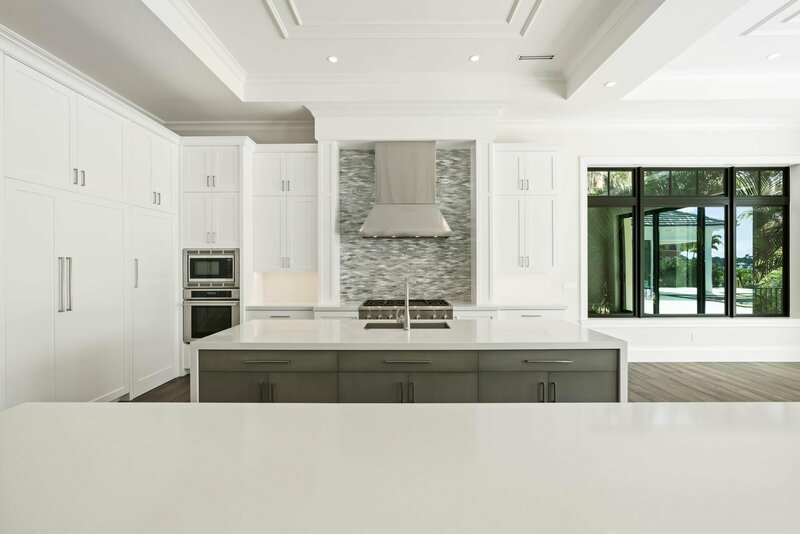 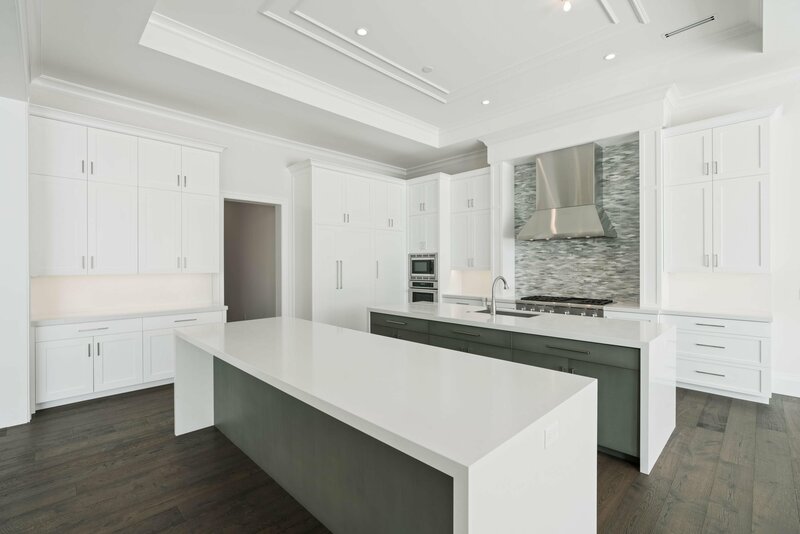 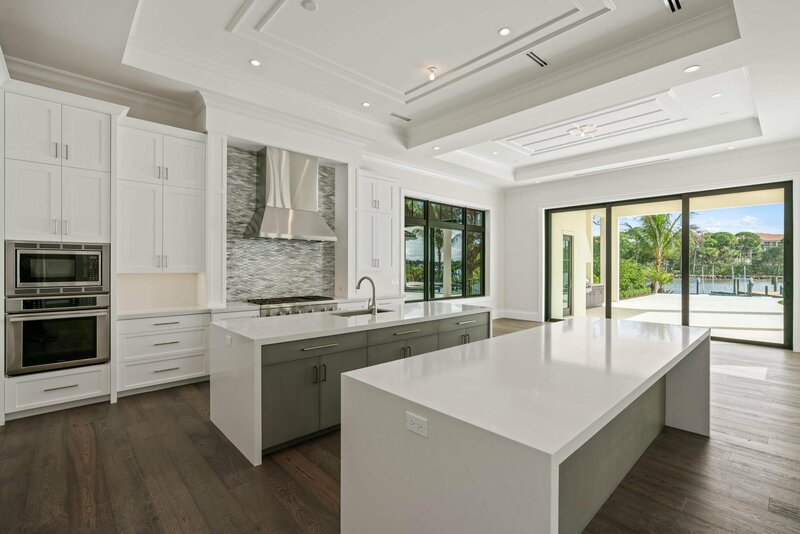 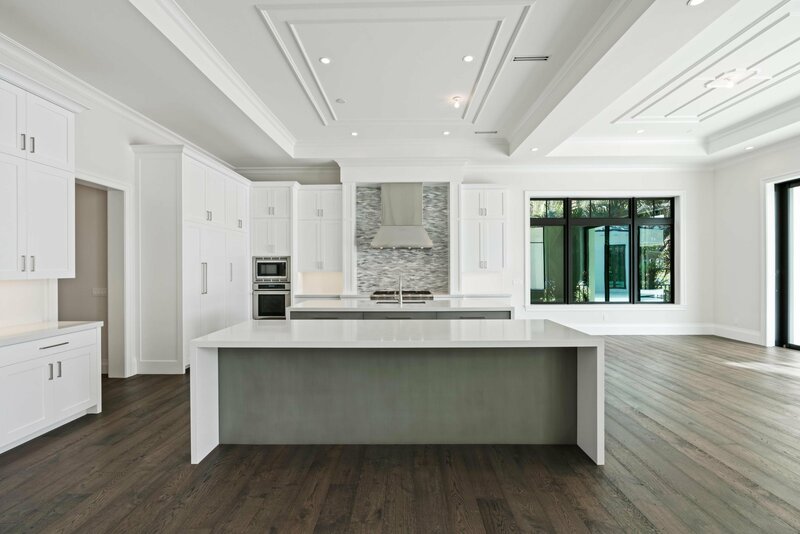 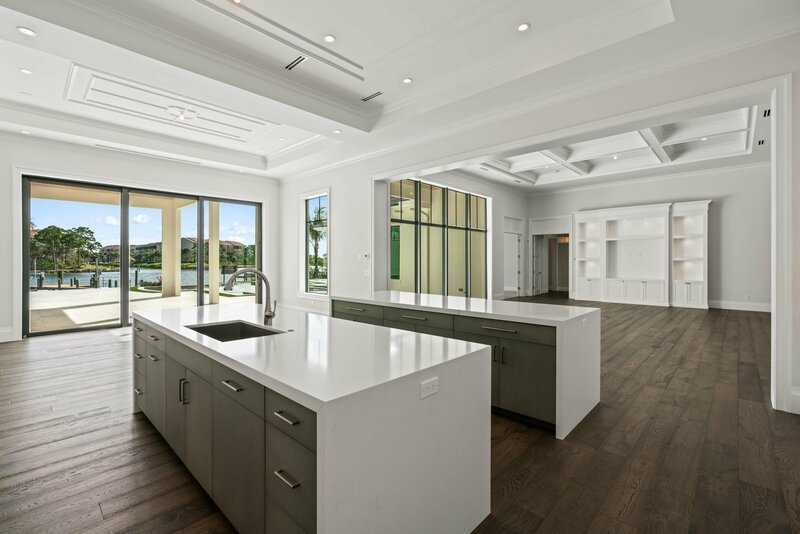 Gourmet kitchen with quartz countertops and Mosaic tile backsplash, two islands, all Thermador appliances, and large concealed pantry. 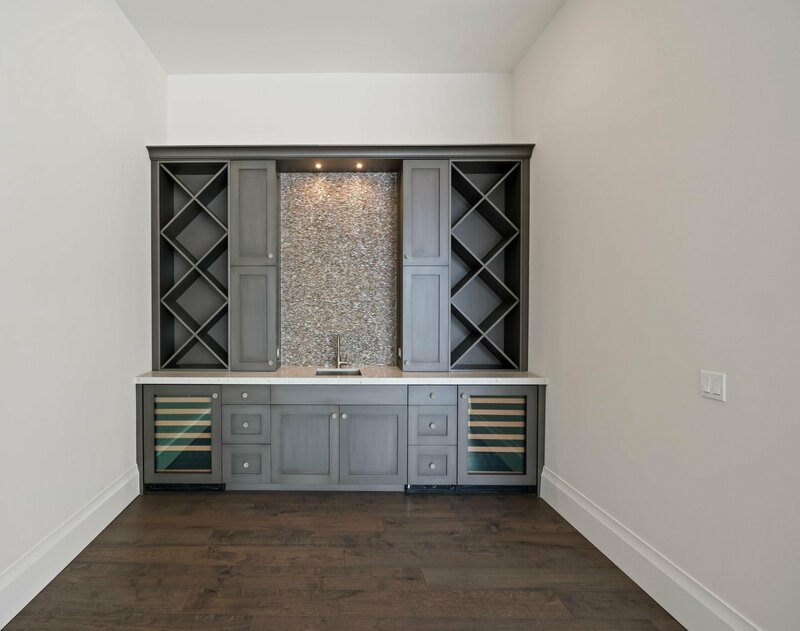 Wet bar with granite top, sink, refrigerator, and wine refrigerators. 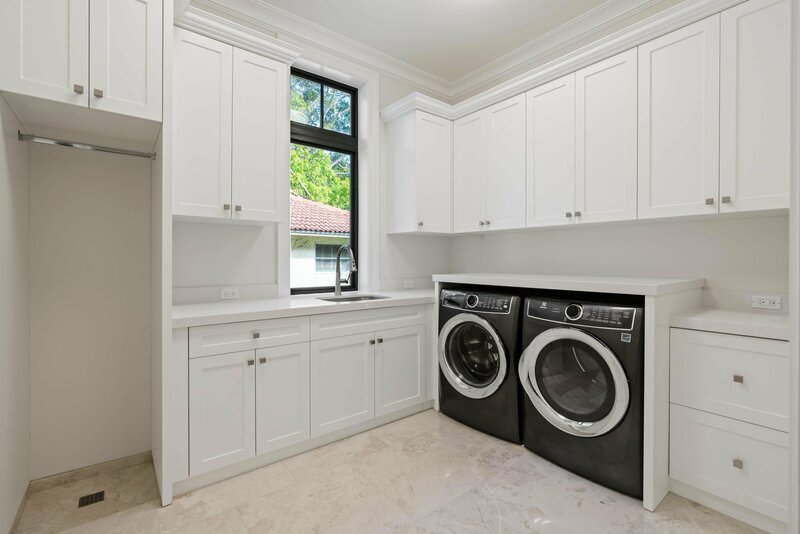 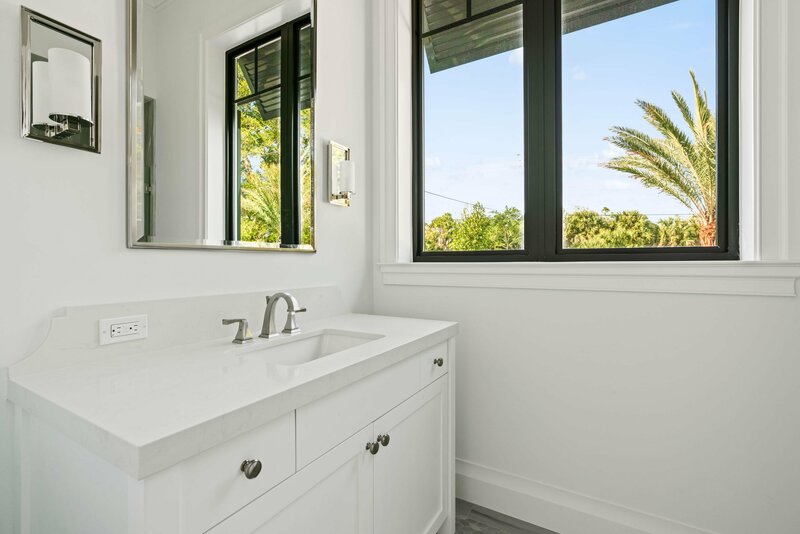 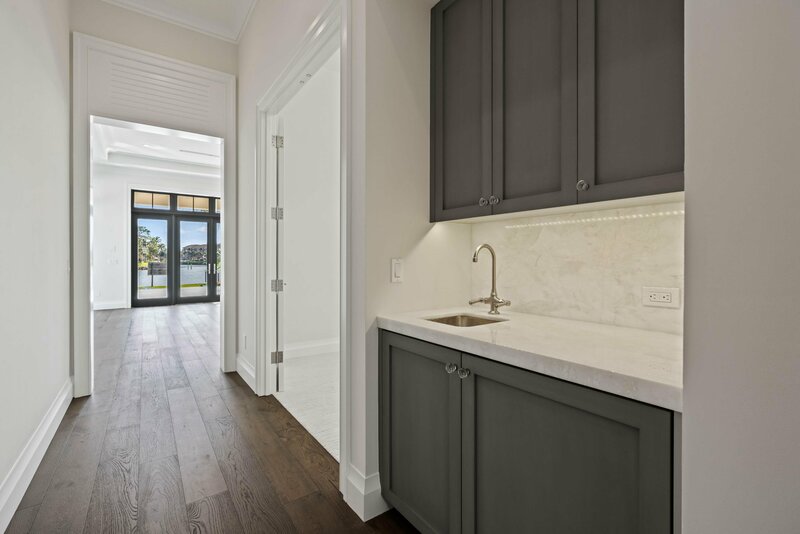 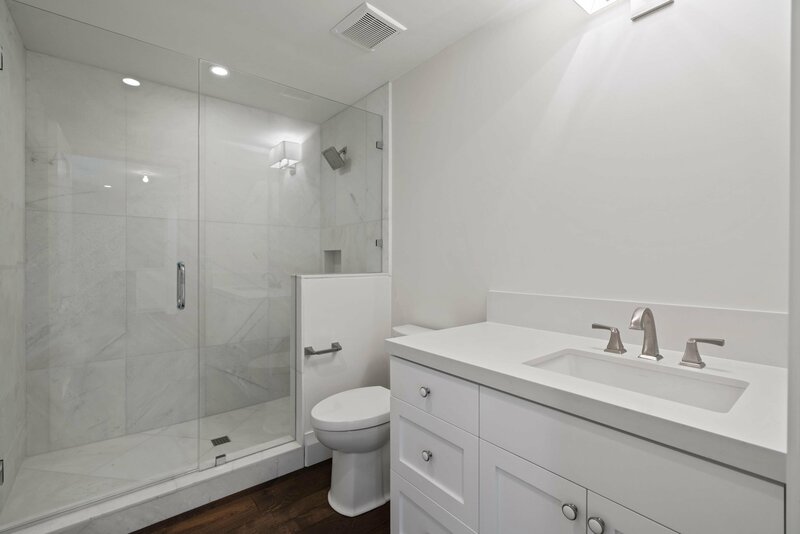 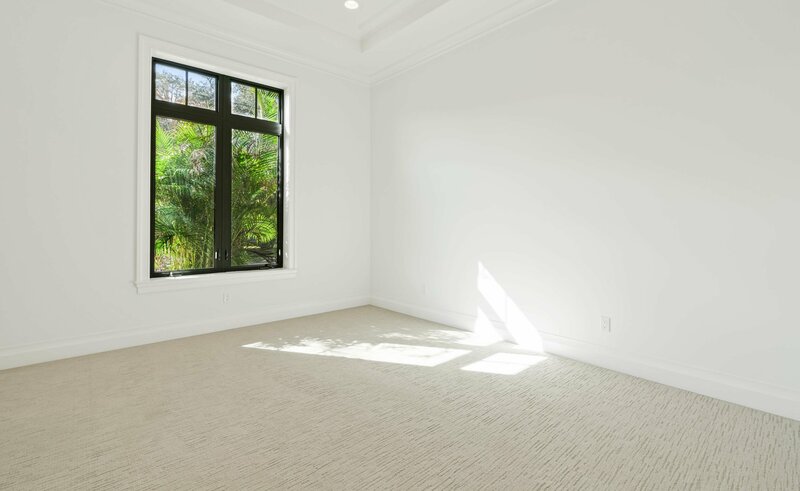 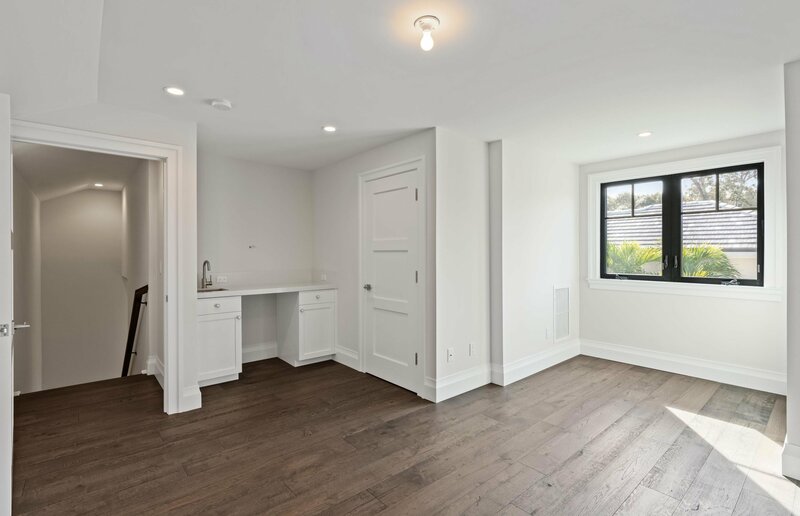 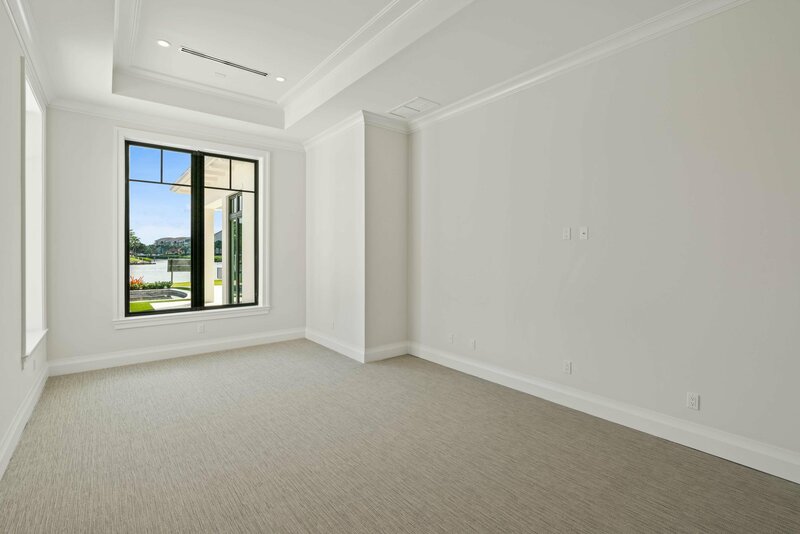 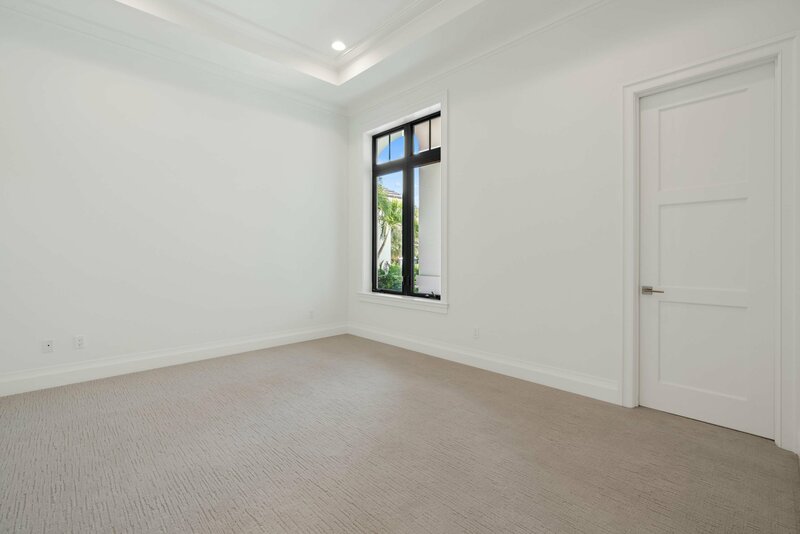 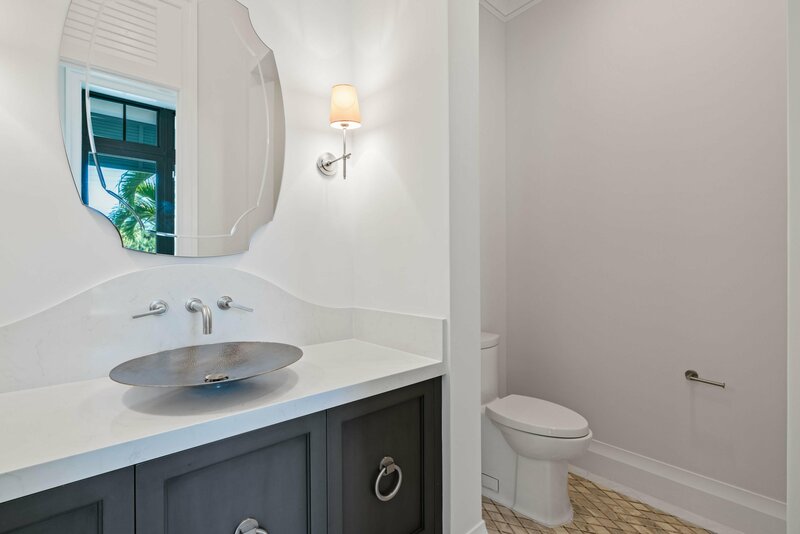 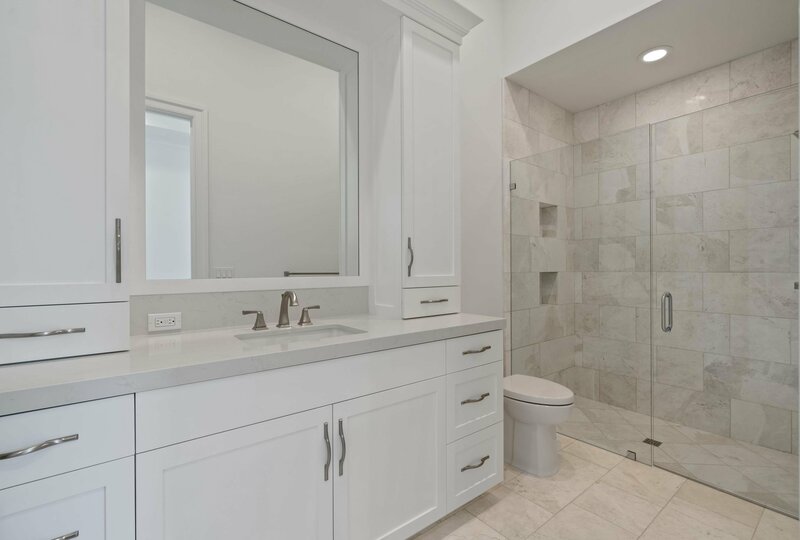 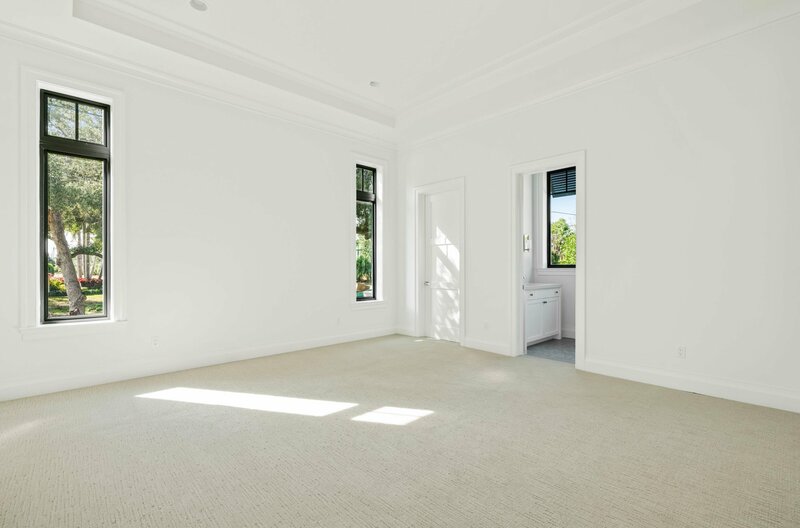 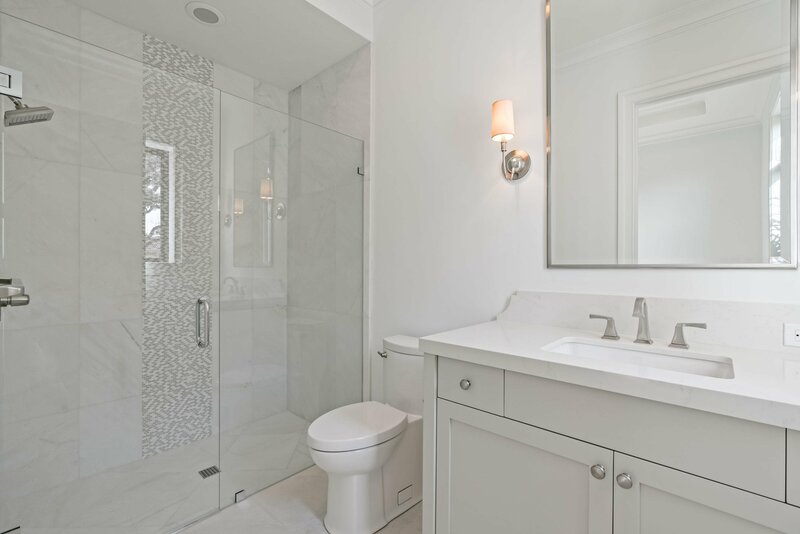 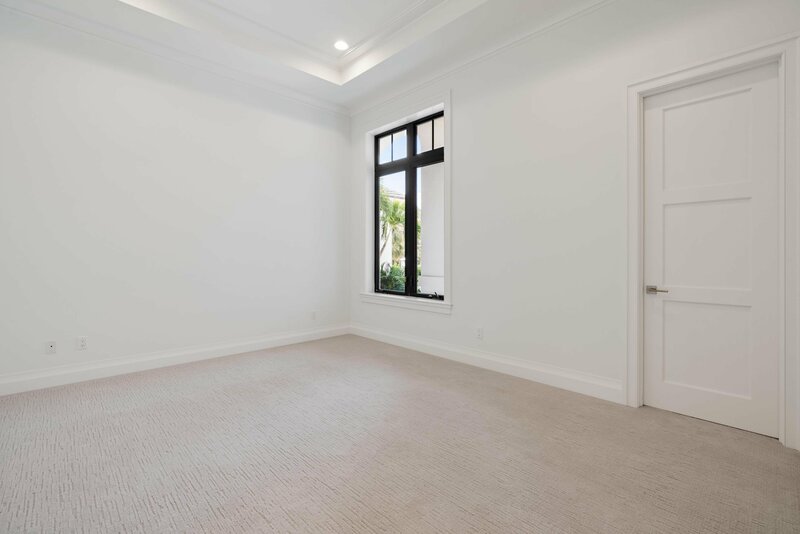 Master suite has applied wood molding, great view and fabulous bath retreat with separate his and her commodes, free standing tub, quartz slab vanities, White Diamond stone, shower walls and floors including mosaic. 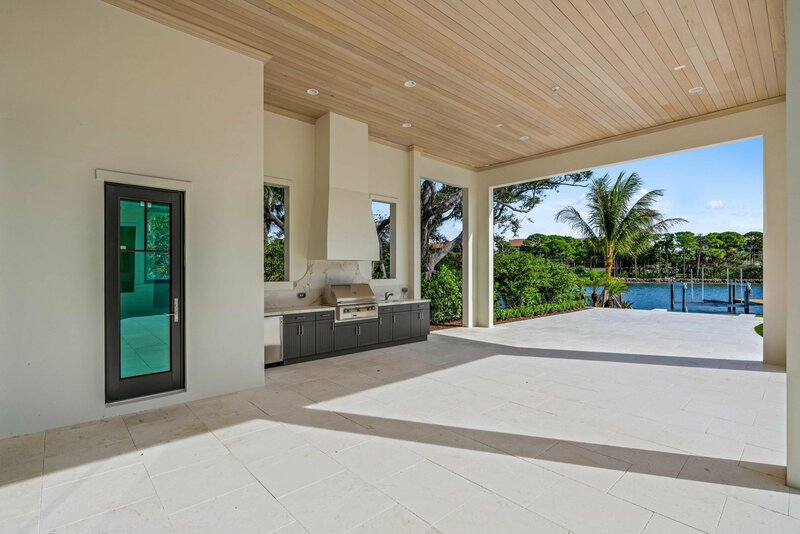 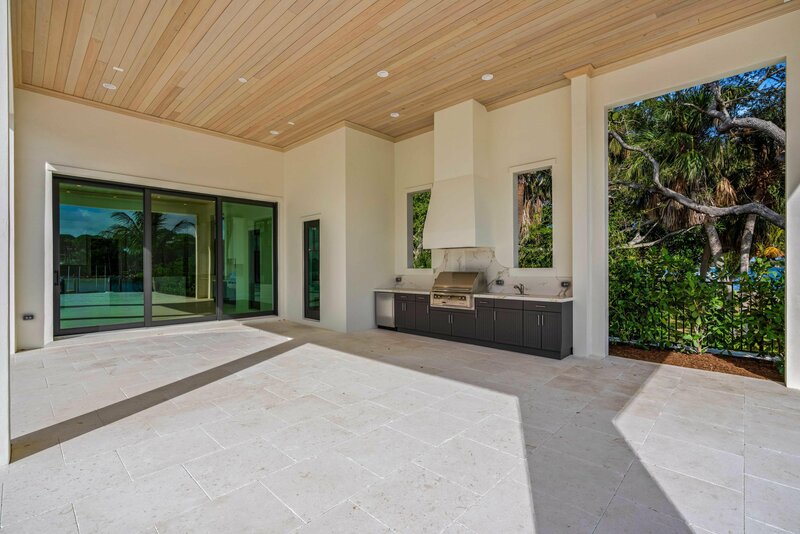 Family room disappearing doors open to expansive cypress covered loggia summer kitchen with grill, sink and fridge. 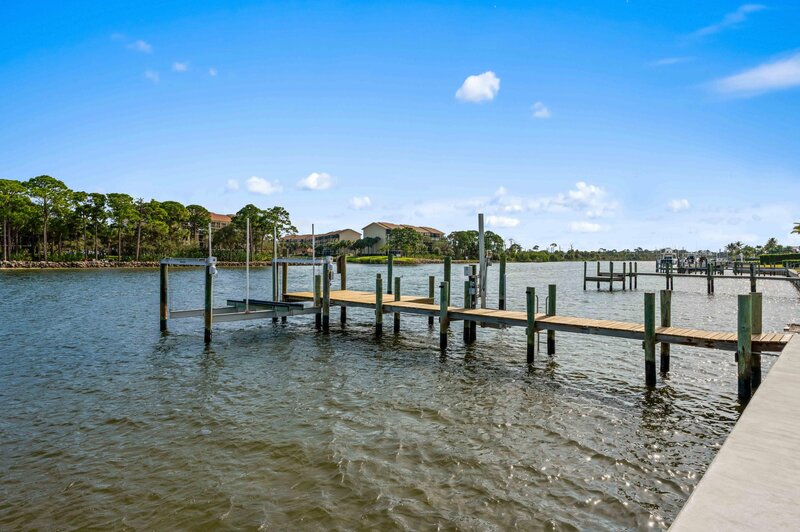 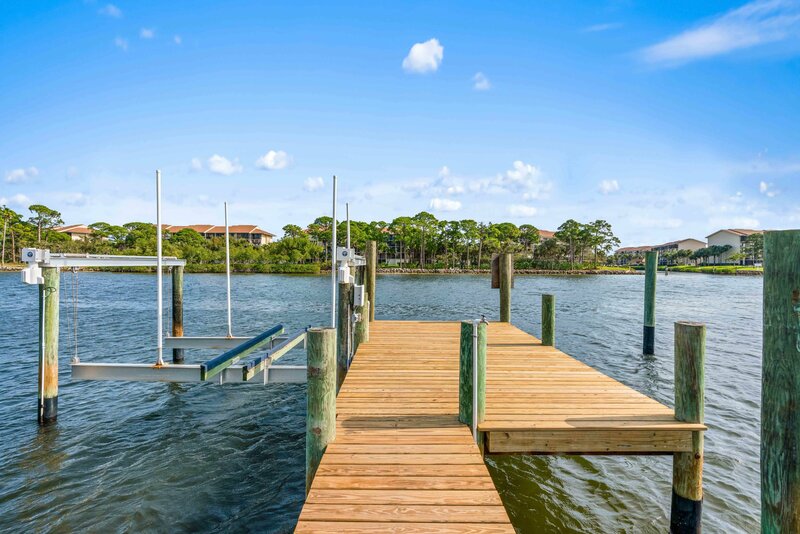 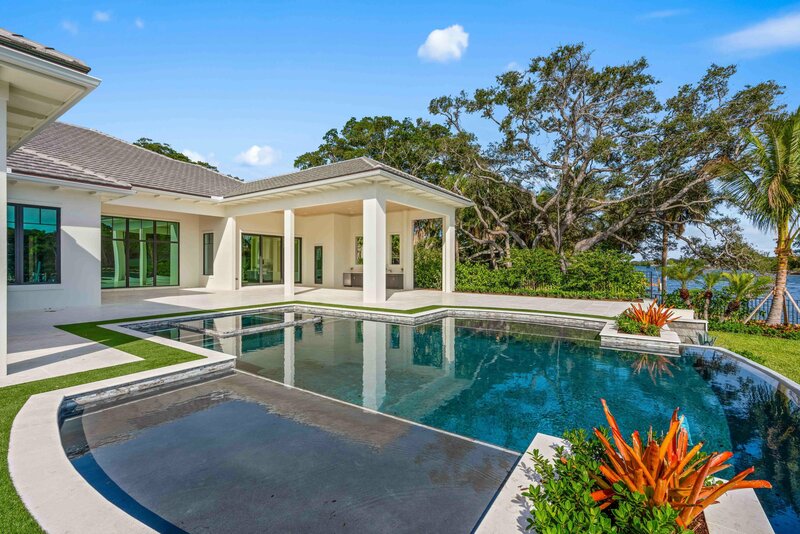 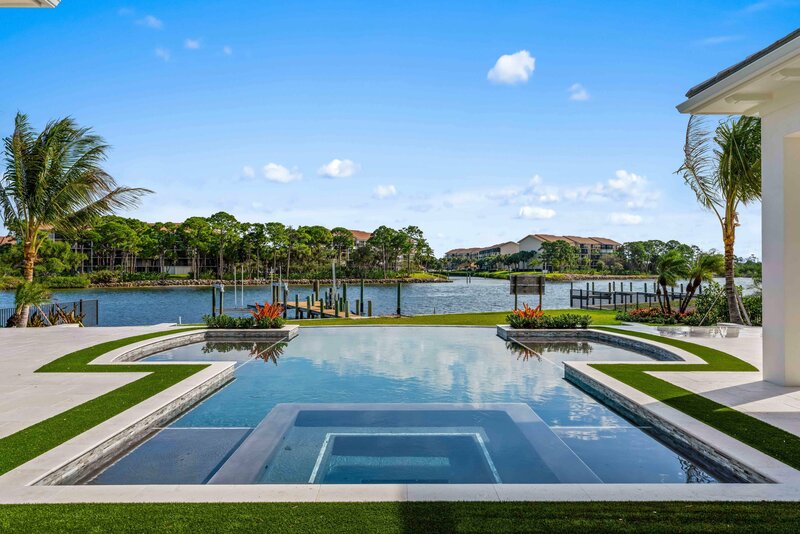 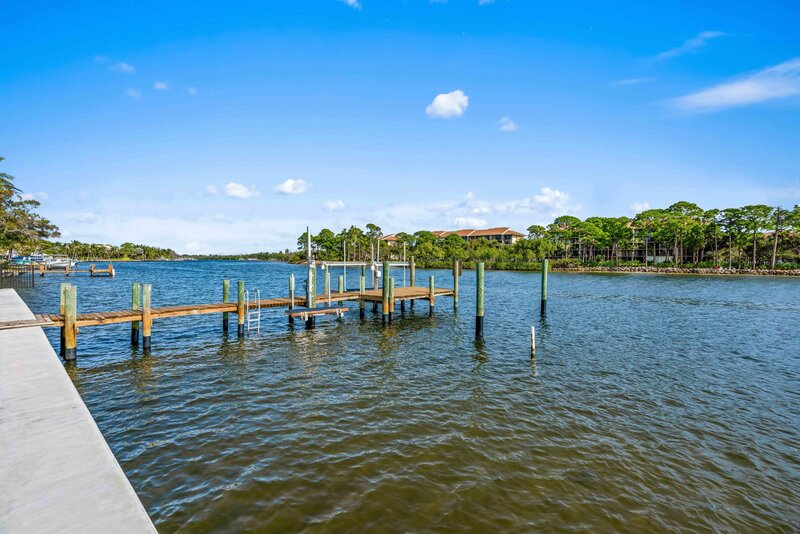 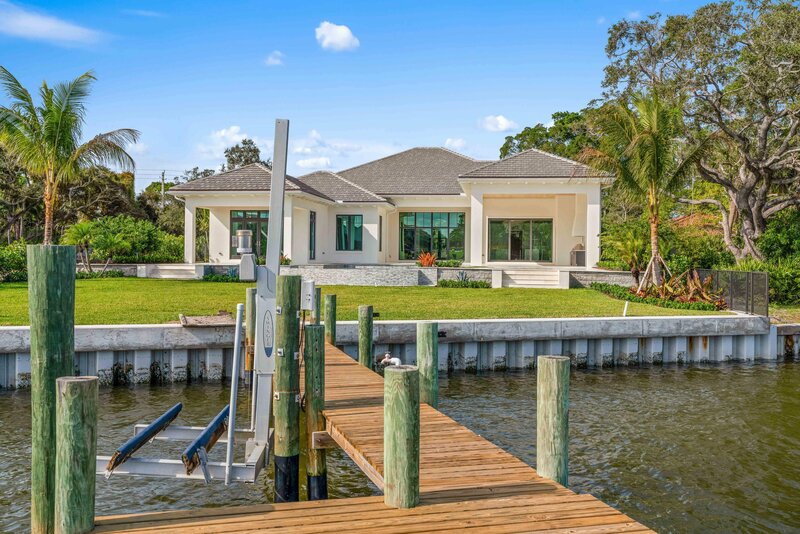 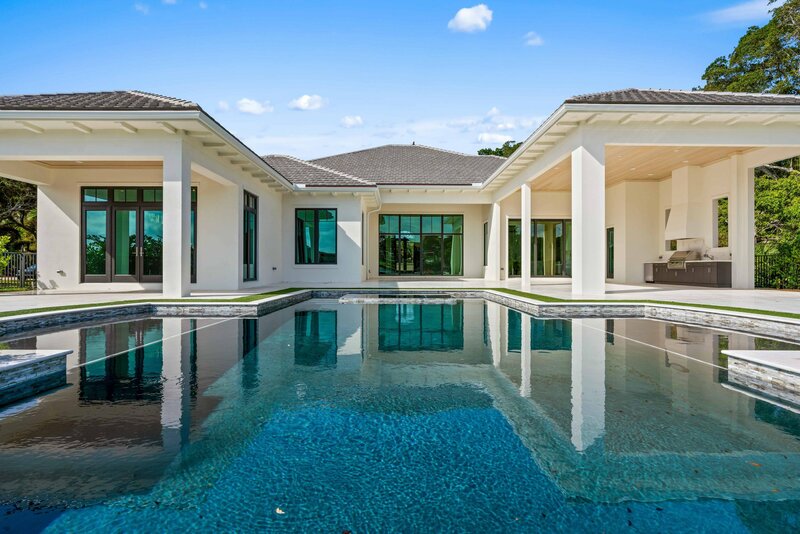 Sparkling spa and infinity pool with sun shelves leads to ICW, private dock with 2 boat lifts. 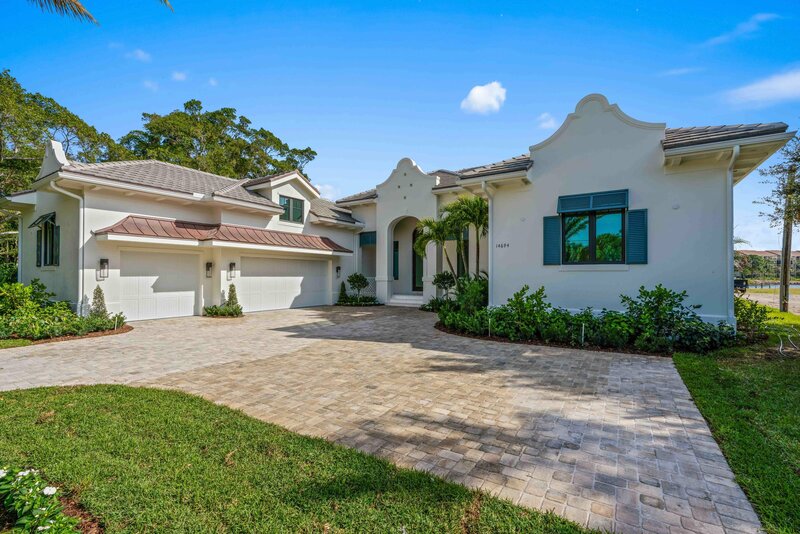 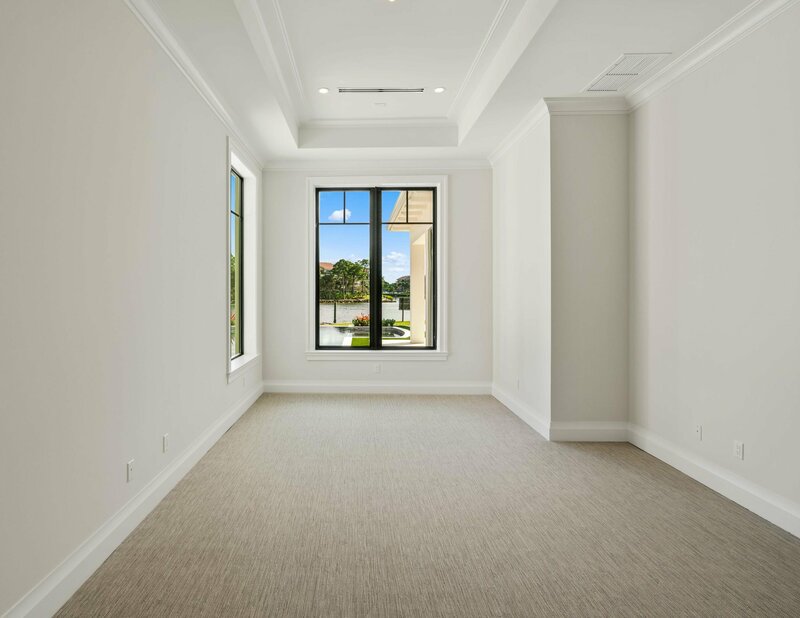 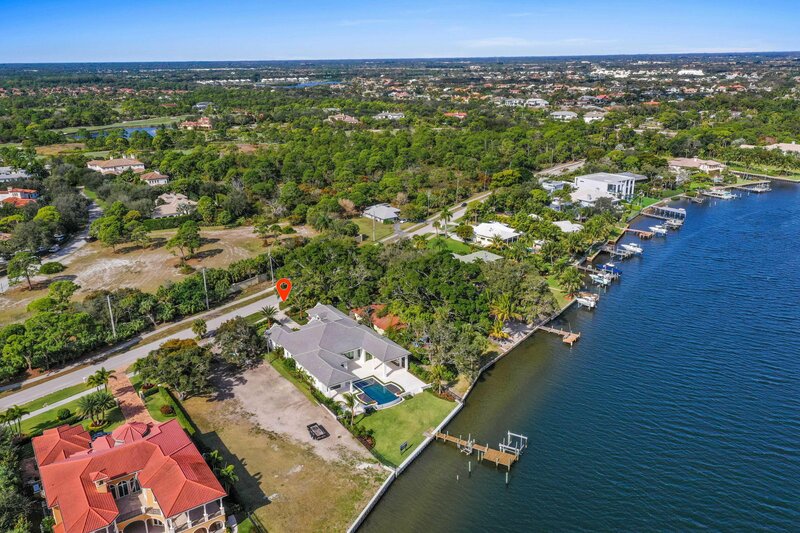 Exceptional location in Palm Beach Gardens near shopping & restaurants PGA corridor by car or boat! 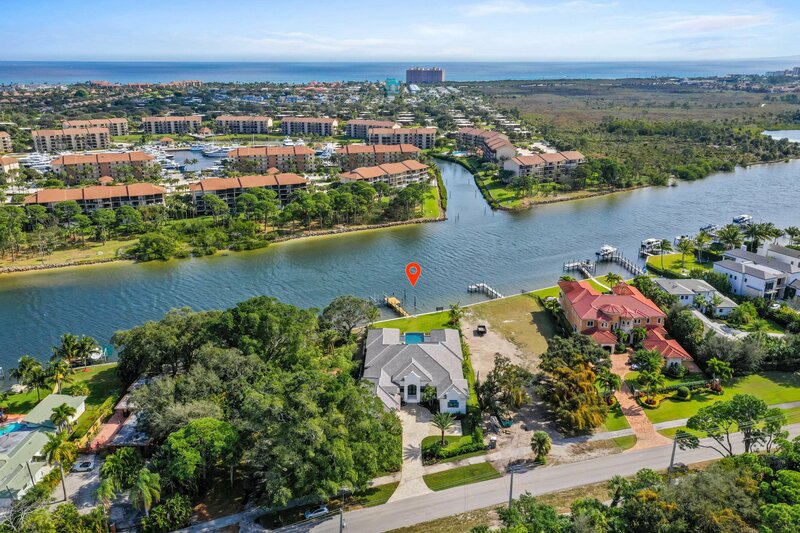 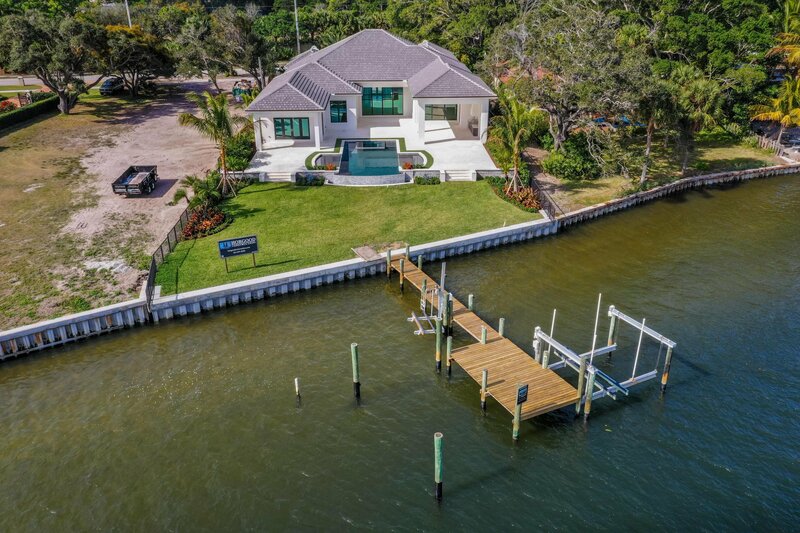 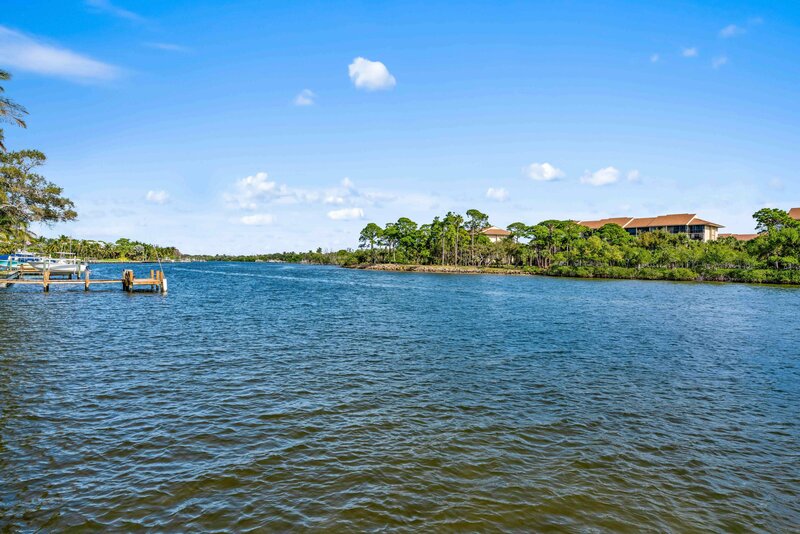 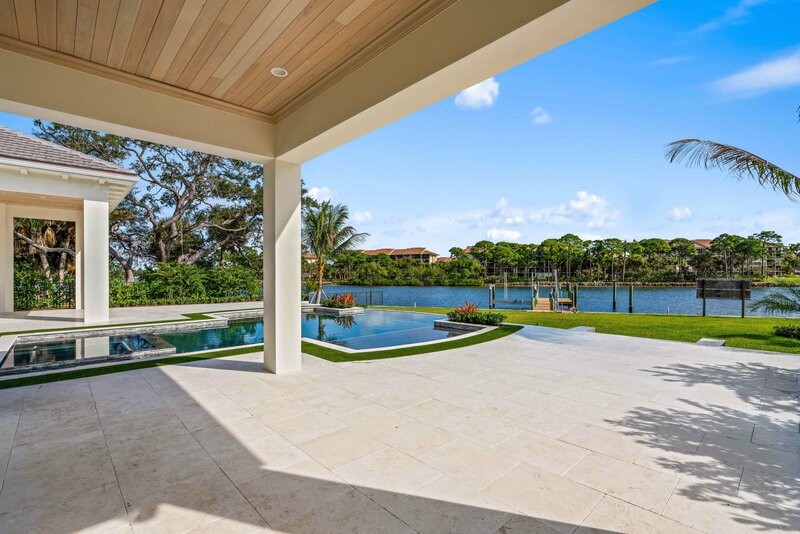 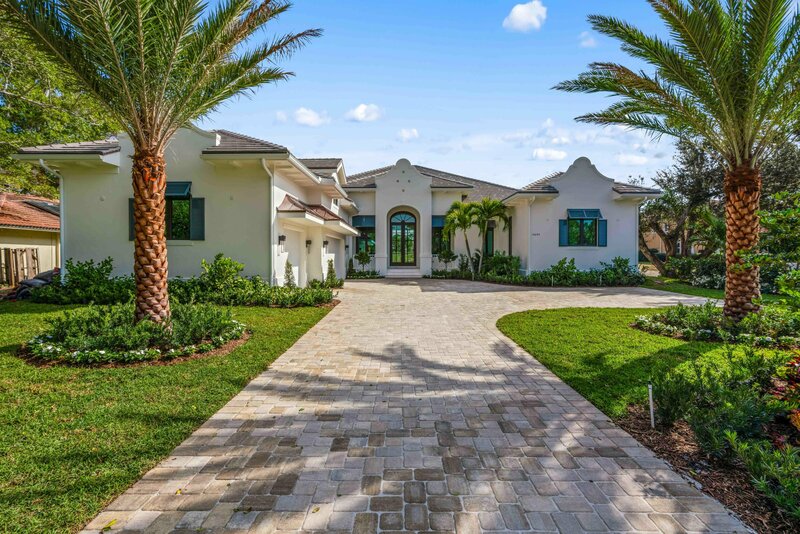 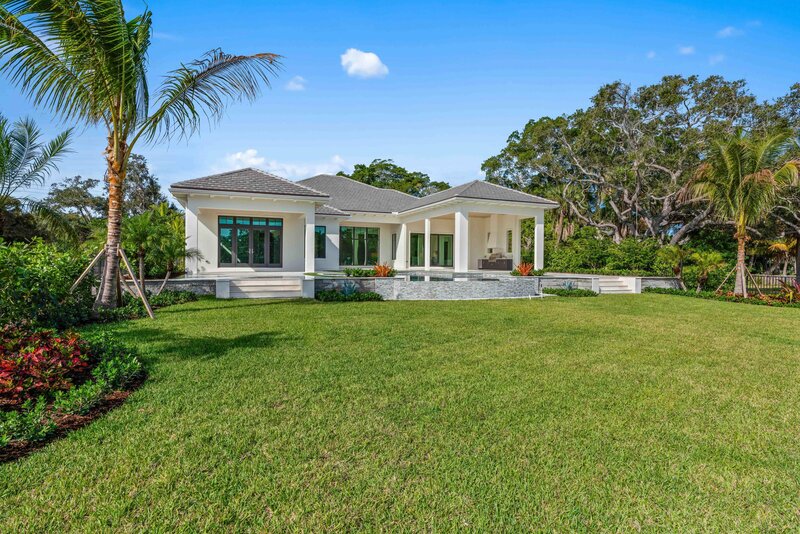 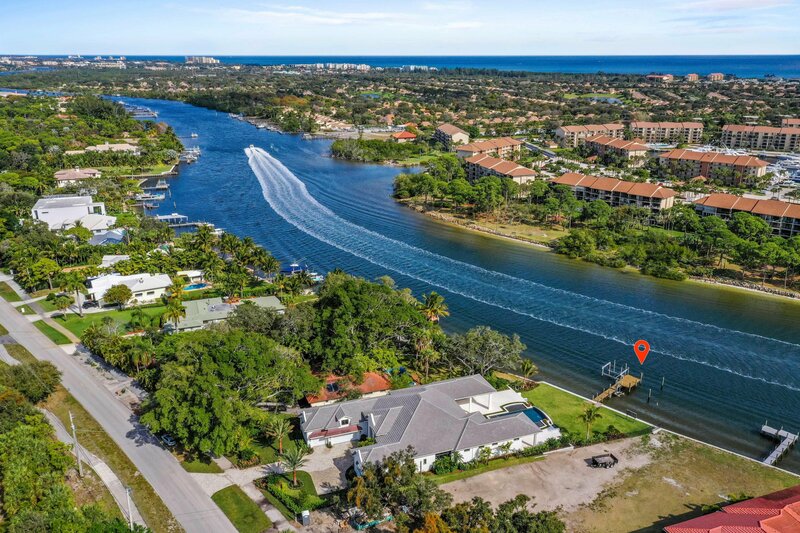 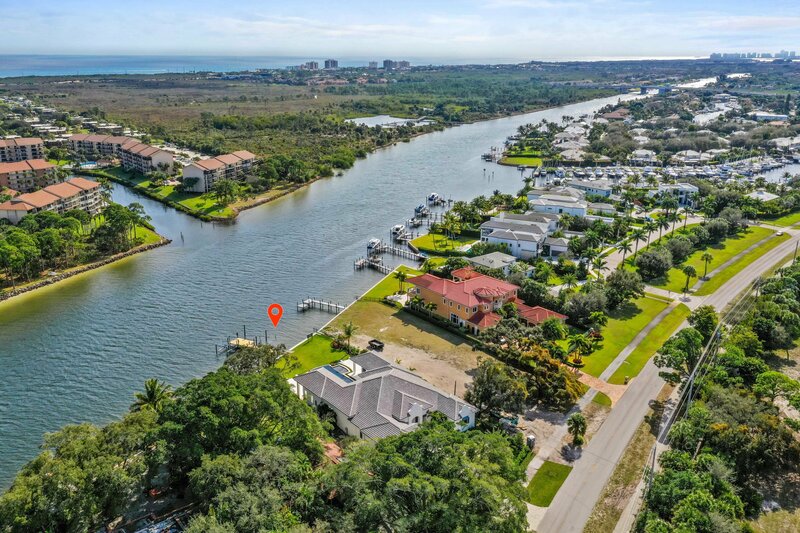 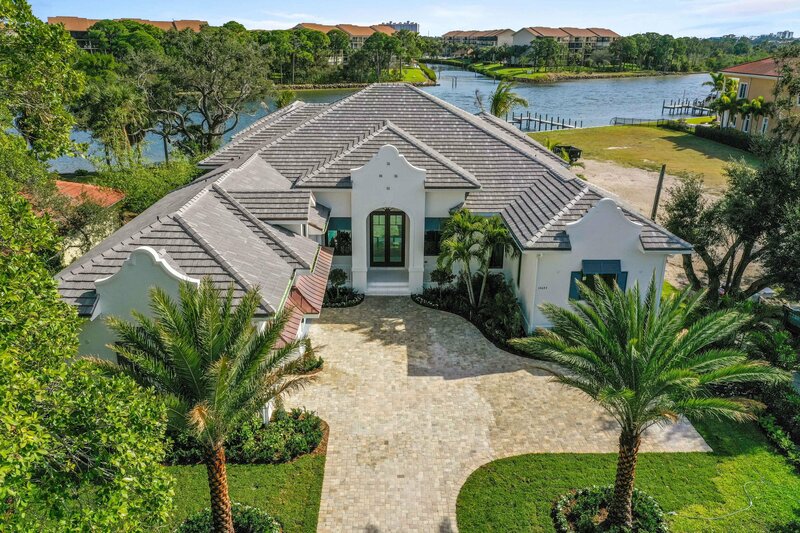 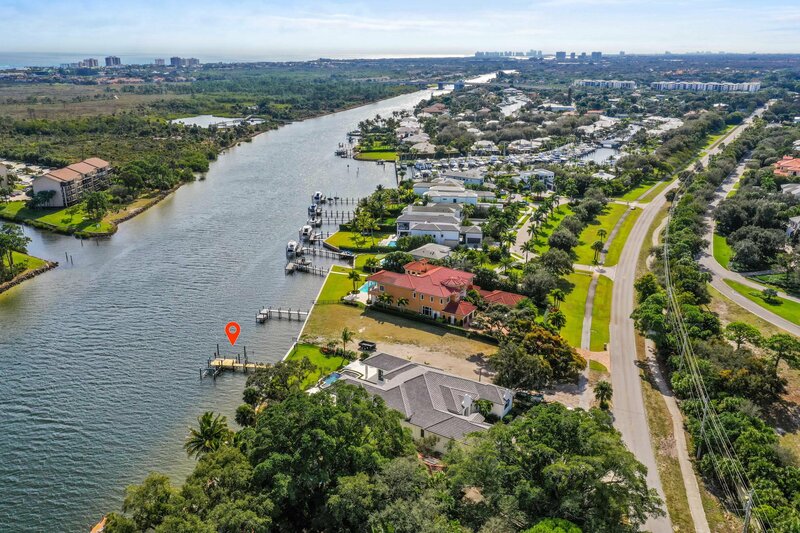 The home is minutes away from secluded beaches of Juno & Jupiter & the Jupiter and Palm Beach Inlets.